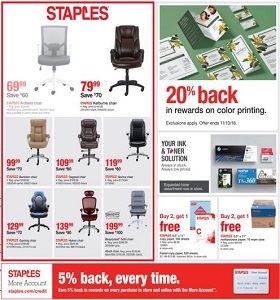 Staples Weekly Ad September 16 - September 22, 2018. Innovation At Work! Staples Weekly Ad September 16 – September 22, 2018. Innovation At Work! -$229.99 Acer Chromebook with Intel Celeron Processor; $399.99 HP Slimline Desktop PC.